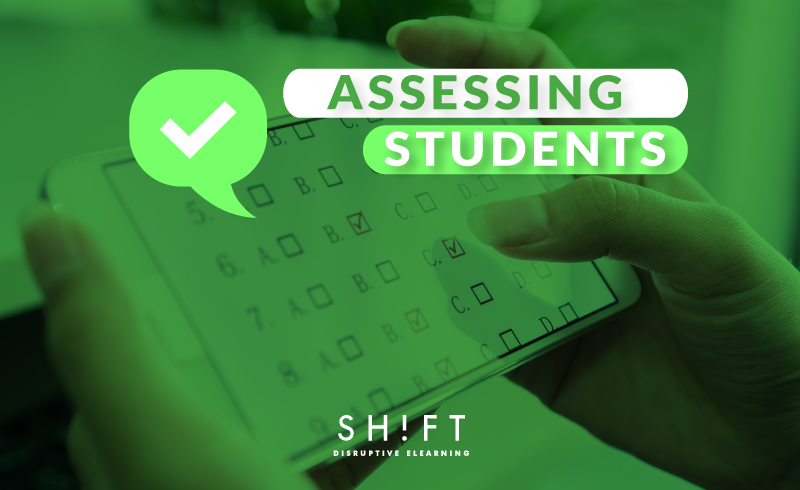 Besides just a mere obligation to prove students passed or completed the course, assessments play a key role in measuring the capacity of your eLearners to grasp your course material. By combining different test and quiz options, and at different intervals of the course, studies have shown – we are effectively providing opportunities for a learner to practice the material. By practicing the subject matter of the course, a student has a much higher chance of retaining more of the content for their future use. Retrieval-Practice is a useful learning, and retention tool, whereby the more effort is made to put into practice learned knowledge, the more it will be retained by the learner. Retrieval-Practice directly relates to the long-term memory, and the processes required to strengthen that memory. Repeated exposure and retrieval-practice are not the same learning methods and do not provide the same outcomes for the student when it comes to long-term memory manipulation. Re-reading information does not help it convert from your short-term memory to your long-term memory. However, studies have shown that retrieving knowledge for testing purposes, does assist a learner to transform the new knowledge gain into long-term memory and expertise. VENTURE ONWARD – ELEARNING DESIGNERS! It is a new era in educational needs and expectations, and you are responsible for ensuring course participants leave the program prepared to actually apply what you have taught them. Here are some of our highly recommended ideas you can put into practice immediately to assist employee's learning & retention abilities by creating an effective assessment strategy. One of the significant advantages, yet seldom used, is to prepare a pre-learning quiz. A quiz initiated at this early stage of the course helps your audience invite and adopt a "learning mentality." This quiz should be designed to be fun, interactive and challenging to show your learners what they may or may not know about the subject matter. Note: This quiz juncture should never make your learner feel like they are not knowledgeable or bored. Instead, this quiz should provide excitement and spark curiosity! It should also give students a preview of what they will learn in the course. Quizzes at this stage of the learning journey also provide a basis of personal insight into what each student should endeavor to note, personally, and identify as "must-knows" in the lesson plan. We also know the most accessible form of quiz question is the age-old True/False question. Made to provide a 50:50 chance for a correct answer, most of these questions are worded in an overly simplistic fashion, and learners can get obtain a correct answer even if they have not absorbed the material subject matter of the course. Start using other matching exercises. They can enhance the learning opportunity and make it more interactive by enabling students to match two sets of data. By matching an item in Column-A to a related item in Column-B, you can encourage a student to get familiarized with the content and measure their ability to identify a relationship or association between similar concepts. Matching exercises provide an effective way to add variety to your assessment strategy as they can be presented in different ways such as ‘drag and match’, ‘drag and drop’ and ‘drop down’. Here are some great tips by Connie Malamed for writing matching format test items. Student self-reflection and self-assessment opportunities should accompany the end of each learning topic or module. By giving the student the time to reflect and encouraging them to pause on and write down what they have just learned, you are helping the student to come to an understanding of how they would put the acquired knowledge into practice at their job. By encouraging the self-understanding practice, you are also motivating your students. Self-understanding allows students to evaluate, on a personal level, what they have absorbed and what they may need to revisit to get a better grasp of the learning material. Case studies involve analyzing a real life instance of an event to gain greater insight into what could be done the same or differently in future occurrences. It is an ideal assessment tool and practice for learners as they help bridge the gap between theory and practice. It is a natural impulse for anyone to solve problems and provide solutions to situations in everyday occurrence. So, why not take advantage of this to provide an interactive learning experience for your audience? You might be wondering how can you do that? Well, real-life situations can be easily converted into learning activities in your course. Now, ask online learners to think of different solutions. Make them explain why they chose a specific solution and how they could have chosen alternate paths to establish the same ending. Engaging your audience in this fashion and allowing them to interact in the lesson provides a highly personalized learning experience and encourages a student's retention levels. Give your learners an opportunity to apply the knowledge acquired in a practical and realistic situation. Scenario-Based type of questions are one of the most effective learning tools in an eLearning designer's kit. They help your students remember the material and apply it in their job. The most significant element you can employ when designing a scenario-based question is to develop the problem around a relatable situation – a situation that any learner can "see" as possible in their lives. This approach allows for immediate feedback from the student and becomes an excellent forum for interaction and building the learner's retention. 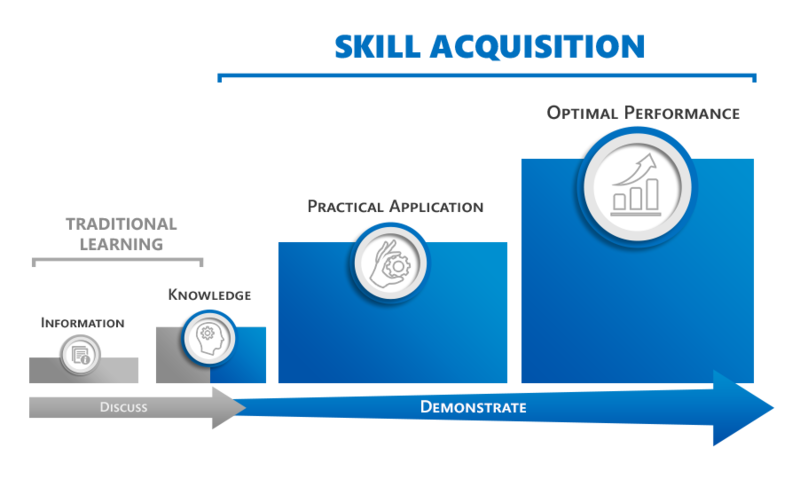 Skill-Based Scenario: In this scenario, the learner is expected to demonstrate skills and knowledge he has already acquired. Problem-Based Scenario: This type of scenario is ideal for situations where learners have to integrate their theoretical and practical knowledge to investigate a problem. Decision-making, logical reasoning, and critical analyses are integral components of these scenarios. Issue-Based Scenario: In this type of a scenario, learners get to take a stand on issues, usually with humanitarian perspectives, and explore these to understand how these affect decision-making in professional spheres. Speculative Scenario: In this scenario, learners have to predict the outcome of an event in the future based on their knowledge and deductions. Gaming Scenario: As is evident from the moniker, these scenarios involve the use of games as learning tools. Learn How to Build an Effective an Engaging Scenario here. It is well known that people learn better when they play. So, why not incorporate this element for assessing learners in your eLearning course? Games are a great resource for practicing recently learned ideas and knowledge. In games, anything the learner does has a consequence; therefore they become a valuable and experiential tool. Games also empower students to apply knowledge in real-life situations.. As shown in this graphic by Learning Solutions Magazine , learners achieve optimal performance when they apply knowledge in practical situations. There are several different types of games, such as: Adventure games, Reality Testing games, Role-play games, Puzzles, Competitions, Sport Games. By incorporating any of these game types in your eLearning course, you can foster a more positive learning environment for your audience. Difficult learning material can be made more accessible to add to a student's knowledge base, by merely adding the knowledge as a challenge to be overcome in a game. For instance, when a "difficult" material is processed by students who consistently get the wrong answer during testing; those students can become frustrated or begin to doubt themselves and their abilities resulting in confidence loss. With the addition of gamification into an intense course-load, the material becomes easier to absorb and retain for the audience. Include realistic but safe environments for the user. Demand challenges but also make users satisfied. Help develop side knowledge: build a hypothesis, solve problems, and develop strategies. Have defined objectives for each problem. Invite to think, develop, analyze, summarize, and conclude. Be fun: they keep people's interest. Read more: Why Is Gamification An Epic Formula For eLearning Assessments? Quizzes, matching exercises, self-assessments, case studies and problem-solving questions, scenario-based questions, and games are some of the best instructional tools you can use when it comes to assessing students throughout an eLearning course. Beyond course completions, the ultimate success of an eLearning course is measured by the increased capacity for the learner to absorb and retain as much of the information and knowledge presented. As eLearning designers, it should be our mandate to provide the best possible platform to cultivate the absorption and retention of knowledge for our audience. Adding these simple elements could be the key to that success!